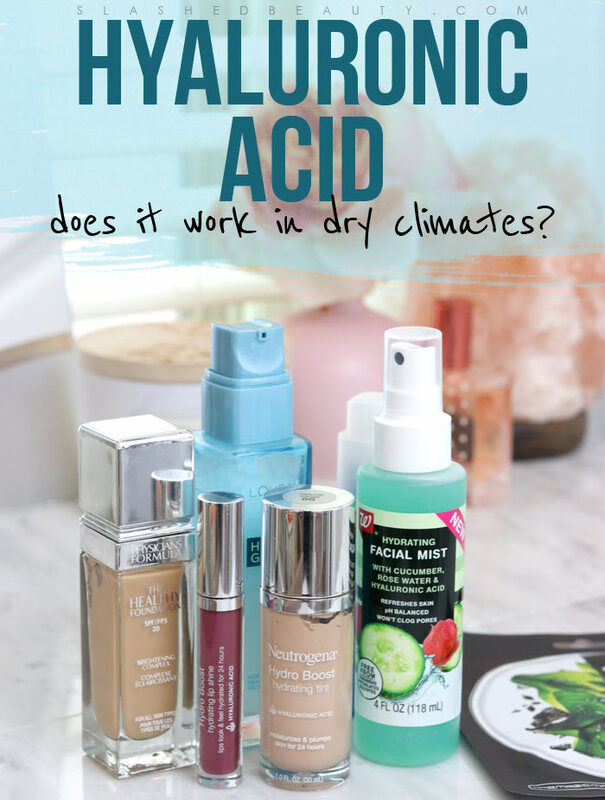 Does Hyaluronic Acid Work in Dry Climates? This winter, my skin has had a mind of its own. It’s been the most dry and irritated ever. I’m running humidifiers, I’m drinking a ton of water, and of course I’m applying a ton of moisturizer. 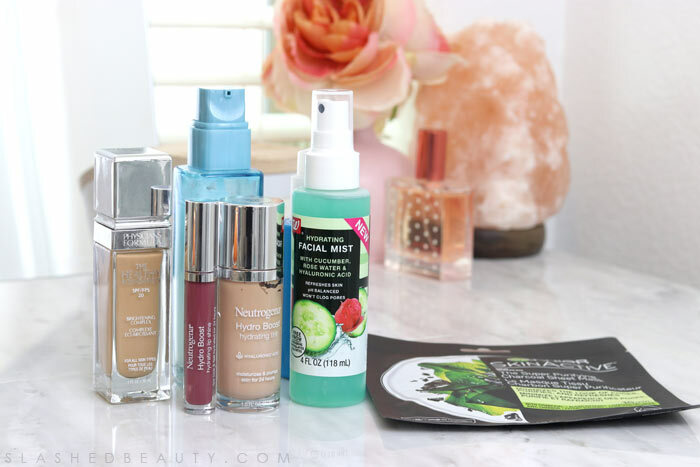 I’ve also switched up my makeup routine to incorporate products that look decent on top of dry skin and that incorporate moisturizing ingredients to help nourish while I wear it. A couple of weeks ago, I shared my makeup routine for dry sensitive skin on my YouTube channel. 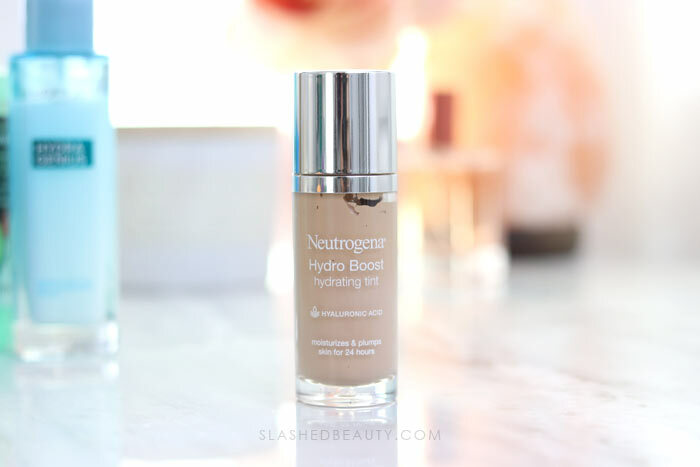 In that video, I mentioned a foundation I’m loving that incorporates hyaluronic acid: the Neutrogena Hydroboost Skin Tint. It has a comfortable and natural skin finish and has enough coverage to even out my skin tone and conceal blemishes. One of the big draws for me, though, is that it contains the popular ingredient to help moisturize and plump the skin. Surely, this isn’t right? But then I started to think about how despite slathering hyaluronic moisturizer on my skin at night, I was still waking up with flaky skin. Was there some truth to this comment? I decided to get some expert opinions on the matter. Hyaluronic acid molecules can hold 1000x their weight in water, and “pull in moisture from both the environment and from the deeper dermis” says Shainhouse. Alright, that all sounds great. But what about when you live in an environment with little moisture in the air? So while it seems that hyaluronic acid is most effective in moist environments, don’t go throwing out all your serums quite yet. Your products containing the popular ingredient can still work in dry climates if you apply them correctly. “Never apply hyaluronic acid to dry skin. After cleansing or toning, make sure your skin is slightly damp when you apply your serum. Then, when your serum is absorbed, which should take less than 5 minutes, you’ll want to apply a moisturizer on top. This will form an occlusive barrier and seal the hyaluronic acid into the skin and provide another form of moisture for the HLA to use,” suggests Murphy. Shainhouse agrees that using a “barrier moisturizer” will help your hyaluronic products work better in dry environments. So now that I have the facts, I’m definitely tweaking my routine a bit. 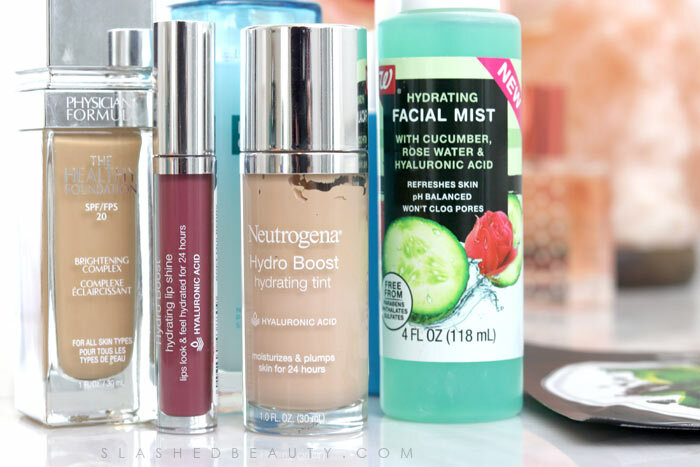 First off, I’m still using the Neutrogena Skin Tint because it’s genuinely a comfortable and lightweight foundation that I love. But prior to application, I make sure that I have on moisturizer and a moisturizing primer for a boost. In my skin care routine, I’m using a cream on top of my hyaluronic acid products to seal in the hydration. Since doing this, I am actually feeling a difference in the morning and have been experiencing less flaky patches. Yay for learning something new today! Do you use hyaluronic acid skin care? Is it effective in your climate? Yes! Yes! Yes! It doesn’t even have to be in a dry climate. As I approached menopause, my oily-my-whole-life skin started to flake on me…and was still oily. I had heard about hyaluronic acid and happened to have a deluxe sample of it. It made it worse! Then I started doing some digging on my own and discovered exactly what you shared in your post. I also found out what carrier oils worked best for my skin and used an oil blend as an occlusive to keep the flaking at bay. Thanks so much for your post. You’re the only blog I’ve read that has talked about this. Isn’t it so interesting how skin can change and react differently to the most popular ingredients! Thanks for sharing this as I think we have similar skin. I’m in S. California near Venice beach 4 miles straight and 8 to Santa Monica I also spend lots of time running in this dry climate but won’t complain on pretty awesome weather year round. Always on the search for a great moisturizer. That’s so funny because I would consider the beach area super humid!! It’s all about what we’re used to. This is really interesting and makes a lot of sense! Thank you for researching this! I never felt that hyaluronic acid alone did much to hydrate my skin. I always put a heavier moisturizer on immediately after a serum with HA and other light ingredients. I have to personally disagree with the idea of waiting 5 minutes before the heavier one – I think that’s too long! Oh! I said that it would take less than 5 minutes to wait– probably only 1-2 realistically! Yes, putting on the heavier cream over HA products has been so much more effective for me now!